Epsilon Electronics, the umbrella corporation that houses many electronic engineering firms, are set to unveil their Soundstream Marine Wake Tower Speakers at CES 2016. News comes by way of a press release on prnewswire, which states that Soundstream “plans on releasing” the device at the upcoming Consumer Electronics Show, which takes place in a few days time. The speakers are designed to be used outdoors, usually installed in vehicles like boats and off-road cars. They use materials that combat adverse weather conditions, and can capably defend themselves against water, UV sunlight and impact damage. Soundstream will also supply a coaxial cable, ensuring that the wiring is just as damage resistant as the speakers. At launch, you can choose between gloss white or black, with a 6.5 or 8-inch cable length — though the press release notes that extra packages will be available in Spring 2016. Soundstream will also help you increase audio quality. Some of the options available in the Spring 2016 package include a “high efficiency horn-loaded compression tweeter,” with a mid-range driver. Additionally, the enclosure of the Marine Wake Tower Speakers can be customized after purchasing. Users can choose between white or RGB grill rings, or a rear fitted high-intensity LED spotlight. The speakers are pre-wired for such options, meaning you can upgrade at any point in the future. Soundstream is a sub-division of Epsilon Electronics, and specializes in mobile audio engineering and performance. 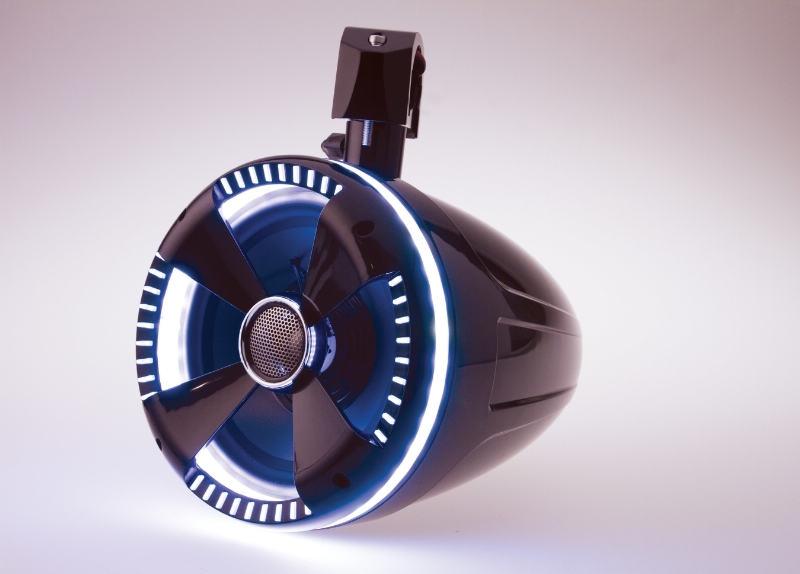 The company recently announced the release of another product, the PSS.4 Power Sport Speakers. CES 2016 takes place between January 6 – 9 in Las Vegas, with pre-show events running January 4 – 5. For more of what we can expect from the show, including the Nextbook Ares 11A, and the WebOS 3.0 from LG, keep it right here on Tapscape.